As the temperature drops and the nights draw in, there’s nothing quite like getting back home after a long day, battening down the hatches and tucking into a comforting, home-cooked meal, especially one that’s already cooked. 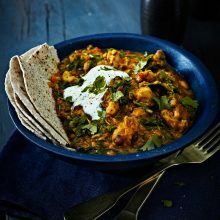 A slow cooker makes it easy – just throw in your ingredients, switch it on and, when you get home, your food will be cooked to perfection, ready for serving. 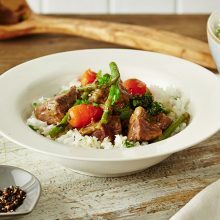 It’s nigh on impossible to spoil your food with long, slow cooking, and nothing beats the intense flavour it imparts; as for cheaper cuts of meat, what a difference it will make. Not just for casseroles though; curries, chillies, stock, even sponge puddings can all benefit from slow cooking. There’s a slow cooker to suit every size of household in our range, and each comes with recipe suggestions to help you get started. So slow things down and discover just how simple it is to produce delicious, nutritious meals. 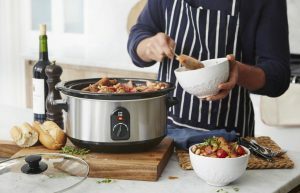 Take a look at our full range of slow cookers, accessories and recipes, here. 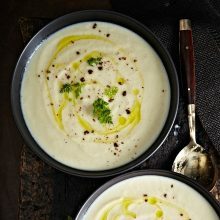 Recipes to start you off, and inspire you on. Find loads more delicious recipes, here.